WIPAC hosts a series of 4 concerts in Spring and Fall Seasons open to the public free of charge at The Kosciuszko Foundation Center for American Polish Culture, 2025 "O" Street, NW, Washington, DC. WIPAC presents an annual Winners Grand Prix Concert in April, featuring up to 4 winners of International Piano Competitions who showcase their talents in same evening followed by a champagne dinner. A music tradition in our nation’s capital, it is always presented in cooperation with an International Embassy. 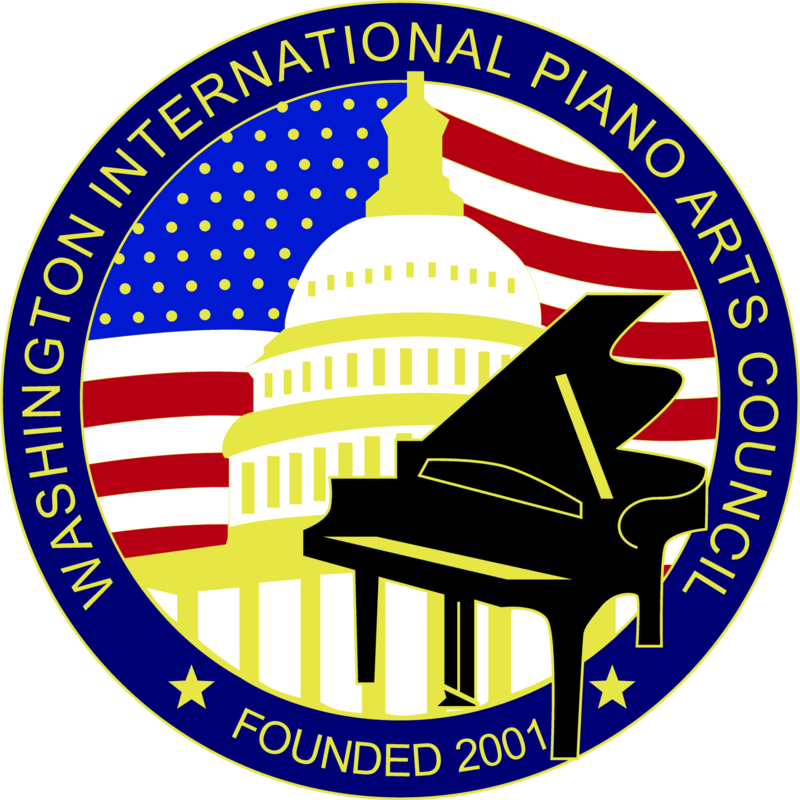 Proceeds support WIPAC's annual Festival of Music and International Piano Artists Competition, open to all non-professional pianists, 31 years of age and above, in cooperation with The George Washington University Music Department (Corcoran Gallery of Music) late July or early August. The Final round is held various embassy grand halls or other attractive venues in the DC metro-area. An awards ceremony and celebratory dinner follows the final round. The audience is asked to listen to all 6 finalists and vote for their choice to determine the recipient of the "Audience Award." In addition, many donor sponsored cash prizes are offered. Donation Levels of Membership: Choose a Donor Level from the list below; arrange method of payment; fill out WIPAC MEMBERSHIP FORM; (Follow instructions on form; SEND TO WIPAC). Semifinal Rounds of the Annual Piano Competition. Receptions which can include Ambassador hosts. WIPAC is a 501©3 organization. Contributions are tax deductible according to the extent provided by law. Donations can be made by check, or major credit cards via PayPal via the WIPAC WEBSITE PAYPAL LINK, or, by arrangement with your broker. Appreciated stock and IRA cash transfers donated to WIPAC can give you tax benefits. Check with your broker. Thank you for your support. Contact WIPAC for more information.